The map or outline of Switzerland is unlike any other country on Earth for it is shaped in the form of a heart, including an aorta, atriums and ventricles. This is because Switzerland, whose country code is “CH”, is the “Chi” (i.e., the “blood-force” or “life-force”) of the Greco-Roman Empire in Greenland. In other words, Switzerland is charged with keeping the Greco-Romans alive and safe in Greenland by conducting assassinations, espionage, terror attacks and wars in the underworld on behalf of the Greco-Roman Empire Greenland, albeit unwittingly. Consequently, the Canton of Jura is shaped like the head of a Roman Eagle while the northwestern outline of the country also mimics the head of an eagle with the cantons of Vaud and Geneva acting as its beak. The head and beak are best represented when contrasting the outline of Switzerland with the logo of the CIA which is located in Switzerland. The Canton of Bern which is home to Bern, the capital of Switzerland, is shaped in the form of a boot which is indicative of the boot or foot of the Roman Empire which has been placed on the collective throat of the underworld via its main proxy state of Switzerland. Also, the Canton of Schaffhausen is shaped in the form of a bear’s head which is symbolic of the Beast of Greenland which is most often depicted as a bear’s head. Lastly, Shiva, the Greco-Roman-Jewish god of destruction, is often depicted with 10 arms which are symbolic of the geographic outline of Switzerland which appears to have 10 arms or legs. 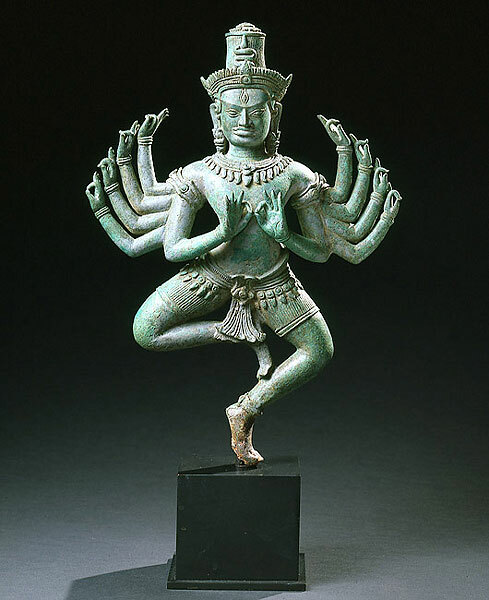 “Tripurantaka”, a manifestation of Shiva, is depicted with four arms wielding an axe, bow and arrow. The four arms of Tripurantaka are symbolic of the four-pronged Greco-Roman Cross of Switzerland which is ultimately responsible for executing Roman blood sacrifices in the underworld. Shiva also rides on a bull which is representative of Babylon, the former capitol of the Roman Empire. Coincidentally, Switzerland is responsible for managing and maintaining the Babylon System in the underworld. Lastly, Shiva’s sacred number is “5” which equates to the “Ж” symbol (i.e., “Chi”) in the Roman Score (i.e., the Roman alphabet) As previously mentioned, Switzerland is also known as “CH” (i.e., “Chi”) which is symbolic of the “blood-force” or “life-force” of the Greco-Roman Empire in Greenland.